The news on non-steroidal anti-inflammatory drugs just keeps getting worse and worse. Just a month ago I posted about how this class of drugs was associated with an increased risk of heart problems. Now a Danish study has found that these drugs are associated with an increased risk of stroke. study finds that even short-term use of these drugs leads to an increased risk of having a stroke in the future. What’s even scarier is that they studied a healthy population. In many instances these types of studies are done on people with already existing conditions that make it difficult to assess whether the increased risk is associated with a person’s previously existing condition or the medication. Not this time. Over 500,000 healthy Danish people were included in this study. The authors used a prescription registry to track which of these people were prescribed an NSAID. About 45% of them took an NSAID from 1997-2005. They then used stroke data from further hospitalization and death registries and estimated the risk of fatal and nonfatal stroke associated with the use of NSAIDs. Results showed that NSAID use was associated with an increased risk of stroke. This increased risk ranged from about 30% with ibuprofen (Advil) and naproxen (Aleve) to 86% with diclofenac (Voltaren). The data were controlled for age, gender, and socioeconomic status. They noted that there was a dose dependent relationship as well. With doses over 200mg of ibuprofen the risk increased by a staggering 90%! This is quite problematic as the base dose for over the counter ibuprofen is 200mg. Millions of Americans take much more than that on a daily basis. The authors of the study were not terribly surprised by the data considering the recent studies that have surfaced regarding the negative effects these medications seem to have on the cardiovascular system. They did say it is hard to make absolute conclusions because no randomized controlled studies exist to date. In light of this most recent evidence I doubt you will ever get an institutional review board to approve such a study because the risk seems to be too high. The author also stated that in Denmark the availability of NSAIDs over the counter is relatively low compared to the United States. He stressed the need for closer monitoring of these drugs. In my opinion, we need to regulate these drugs as closely as possible. If one were to watch the evening news you would see these drugs being advertised as health food practically. It is studies like these that make it abundantly clear they are not without risk. Options abound for people who take these on a regular basis for mild to moderate pain. Exercise and diet are a great start. Reducing the use of NSAIDs would likely have a very positive effect on the cost of health care in the U.S. We need all the help we can get in that department. Before you take that Ibuprofen, read this! A recent study consisting of 116,000 people has supported other research that NSAIDs pack a dangerous risk for your heart. NSAIDs, or non-steroidal anti-inflammatory drugs, are a very popular class of drugs that are used for many things including fever reduction and pain management. They are most commonly used to reduce the aches and pains of every day life such as headaches, back pain and arthritis. Below is a list of NSAIDs that are approved in the U.S. The names you will recognize are probably aspirin, ibuprofen and naproxen. 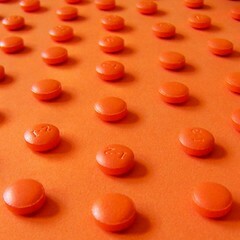 They are the best-selling of the NSAIDs. This new research was a meta-analysis of 31 other studies that looked at prescription strength NSAIDs. The data, however, likely applies to the over the counter NSAIDs one can buy right off the shelf. It is very easy to take prescription strengths simply by taking too many of the over the counter version, something millions of Americans do every day. So what do you do if you have pain? The most important thing you need to do is consume an anti-inflammatory diet. The principles of this diet work on the same metabolic pathways that the NSAID class of drugs does, but without the nasty side effects. Plus, by changing your diet you get the added benefit of more energy, a better cholesterol profile and reduction in total inflammatory load. These are things the NSAIDs could never claim to do. There are also supplements that work quite well. First, fish oil is a must. It is potently anti-inflammatory and there are many studies to back up its usefulness in pain reduction. Be sure to get a high quality fish oil. Low quality fish oils are filled with toxins and will do more harm than good at worst and do nothing beneficial at best. For pain reduction I recommend 6 grams (6,000 mg) per day of fish oil. The number of capsules that will take depends on the potency of the brand you buy. You will likely get more for your money if you buy the oil and take it by the teaspoon. Other supplements that work quite well are the anti-inflammatory herbs such as ginger and turmeric. When taken consistently, they significantly impact pain levels. They are also available in many products over the counter. I always recommend, however, that one sees a health care practitioner that is trained in functional medicine before trying this on your own. Your results will be much better if you see a doctor who can manage your care with you. Enzymes such as bromelain are also of benefit. Bromelain is an enzyme derived from pineapples. It is potently anti-inflammatory. NSAIDs are overly used and are often misused. This, in part, leads to their problems. If people could change their diet and use natural alternatives for pain management, heavy reliance on NSAIDs could be a thing of the past. In my book, that would be a great thing.